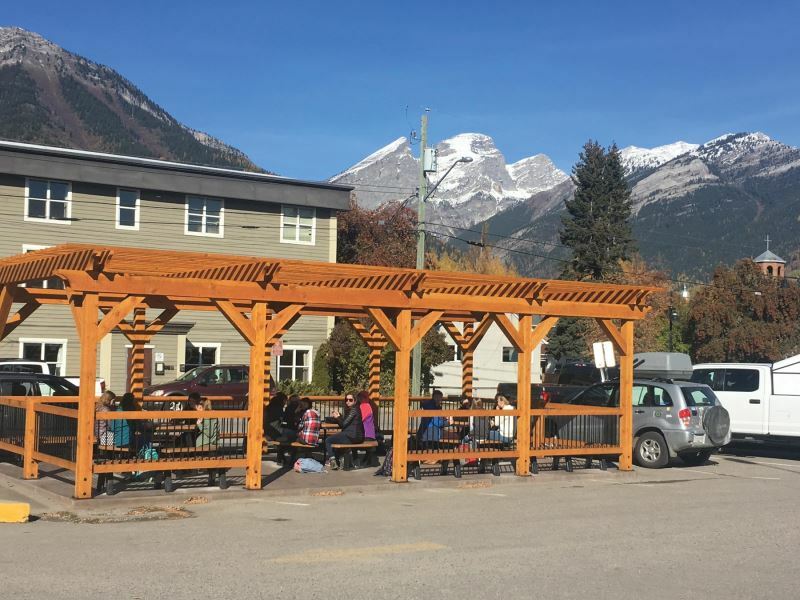 Photo: College of the Rockies students and staff are able to enjoy a newly constructed pergola at the Fernie campus thanks to funds provided by Teck. Students and staff at College of the Rockies’ Fernie campus have a beautiful new pergola and classrooms with a view thanks to the $1 million donation from Teck announced in June 2018. At the time of the donation, $100,000 was allocated to renovations at the Fernie campus. A pergola located near the campus’ front entrance provides a location for students and staff to gather to socialize, study, and appreciate the fresh Fernie air. In addition, six new windows were added to the formerly windowless north wall of the building, providing an improved classroom environment for three of the campus’ key programs. Learn more about College of the Rockies’ Fernie campus. For more than 40 years, College of the Rockies has provided post-secondary education that meets the needs and aspirations of the people, industry and businesses of our region. Each year, we welcome more than 2,300 full-time equivalent students into a full range of programs, including: skilled trades, university studies, adult upgrading, early childhood education, health and human services, business, office administration, tourism, hospitality, recreation, fire services, continuing education and contract training. Through smaller class sizes, highly-personalized instruction and dedicated support services,our students are primed to succeed in the job market, or in the next stage of their academic journey.